Never google what the first eye tracker looked like, unless you want nightmares for a week. Go on, we dare you. It looks like a medieval torture device. Though, let’s put jokes aside. Edmund Huey developed an early eye tracker and it was the first step to seeing the world through the eyes of the consumers. Even 7-10 years ago eye tracking technology was expensive, inconvenient and cumbersome. Today you can easily get smart eye tracking software and affordable compact hardware which will help you conduct effective marketing research. Nevertheless, a lot of companies still remain skeptical about using eye tracking tools. In order to understand why, let’s take a closer look at how eye tracking worked before and what we need today to see the world through consumers’ eyes. 90 percent of the information that we perceive is visual. Our experiences, including retail experiences (visiting websites, interacting with advertising materials, etc.) are mostly visual. Larger shares of marketing budgets are always dedicated to the creation of visual content, as it is believed to be more effective in ensuring a positive interaction experience with the brand for customers. Though, the key question is always there – how to understand whether a customer enjoys what he/she sees? A more distinctive answer came with the appearance of eye tracking in the marketing research industry. Originally applied in the sphere of neurological science, eye tracking based solutions started gradually appearing in the marketing research domain. Even though its usage was complicated at early stages, very quickly this technology became a reliable tool for recording and analyzing customers’ visual experiences. Contemporary eye tracking solutions deliver high-quality, precise data about customers’ perception of products and advertising materials. However, eye tracking is still not a very common marketing tool, especially among SME companies. Let’s take a closer look why. Eye tracking penetration into the marketing domain was slow because of software and hardware issues. Eye trackers and related equipment were cumbersome, the software was complicated, slow and not user-friendly, data collection and analysis took a lot of time. As a result, application of eye tracking in marketing research required a lot of financial and human resources. Field marketing studies with the eye tracking application were extremely complicated and only large companies could bear the expenses related to the software, qualified researchers services’, equipment and its transportation. That’s why a lot of research companies still consider eye tracking to be a hard-to-use, expensive and slow. Nevertheless, a new trend in eye tracking development demonstrates that those perceptions are wrong as never before. Currently, we are witnessing an eye tracking revolution where many of the above-mentioned barriers are washed away by high-tech advancements. When we were developing our NeuroLab which includes eye tracking technology we did everything to make the solution as flexible and easy to use as possible. Three major advantages mentioned below demonstrate that this solution is an affordable and effective marketing research tool for even SME companies. Today, in order to conduct marketing research using eye tracking technology, all you need is a laptop with installed software and a simple, affordable and easy-to-use eye tracker. No more bulky devices, desktop computers, kilograms of cords, cables, splitters, and switchers. No more four-figures bills for transportation of equipment. You can easily take your eye tracking kit to wherever you need. Furthermore, contemporary eye tracking solutions transform what was a laboratory-like experience into an engaging game, which creates a more relaxed and friendly testing atmosphere for customers. Modern eye tracking software is easy-to-install and has a user-friendly interface. Moreover, it provides numerous automated tools for data analysis and visualization. Heat maps, gaze plots, opacity maps, and stats on selected areas of interest – all these are available instantly after data collection is completed. If needed, you can export the raw data into Excel or SPSS formats. At the same time, you can directly download easy-to-use visualized reports in PPT and PDF formats. 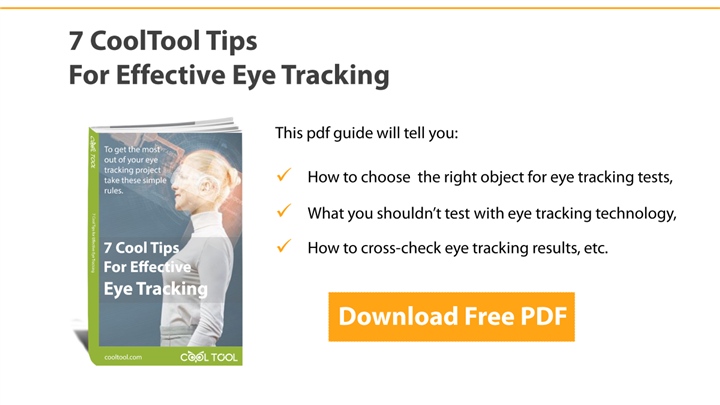 Eye tracking can be effectively used both as a separate research tool and as an additional one for cross-checking data obtained from other sources (i.e. traditional surveys, EEG, etc.). For example, you could include questions that require an application of the eye tracking device into your questionnaire or instead conduct separate research and then compare data obtained from both sources. Whatever mode of application you will choose, you can expect solid analytical results from this tool. 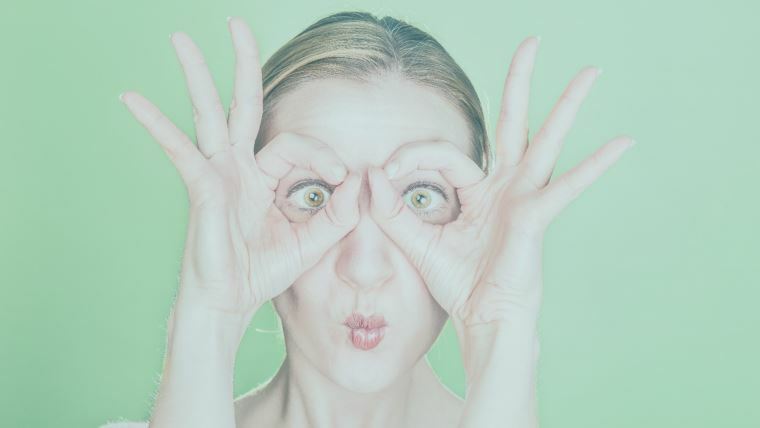 Eye Tracking allows researchers to see the world though the consumers’ perception – a possibility offered by very few marketing research tools. Now you know it can be affordable, fast and compact. Start benefiting from eye tracking technology now.